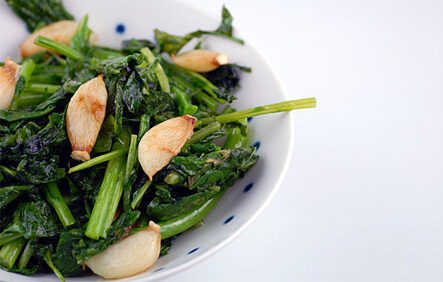 Broccoli rabe is a traditional Italian vegetable related to both the cabbage and turnip family. It’s a bitter vegetable with 6- to 9-inch stalks and scattered clusters of tiny broccoli-like buds. Sautéing it in garlic is a great way to mellow the bitterness. Add garlic to skillet and cook over medium heat until lightly browned, a few minutes. Add the greens to skillet, and cook until wilted. Elana is an eco-entrepreneur and gluten-free guru. 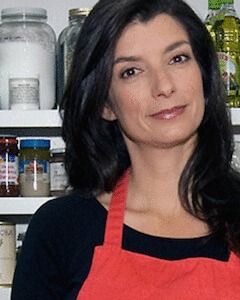 She shares weekly recipes, ingredient selection, food purchasing, and preparation tips on her website, Elana's Pantry.